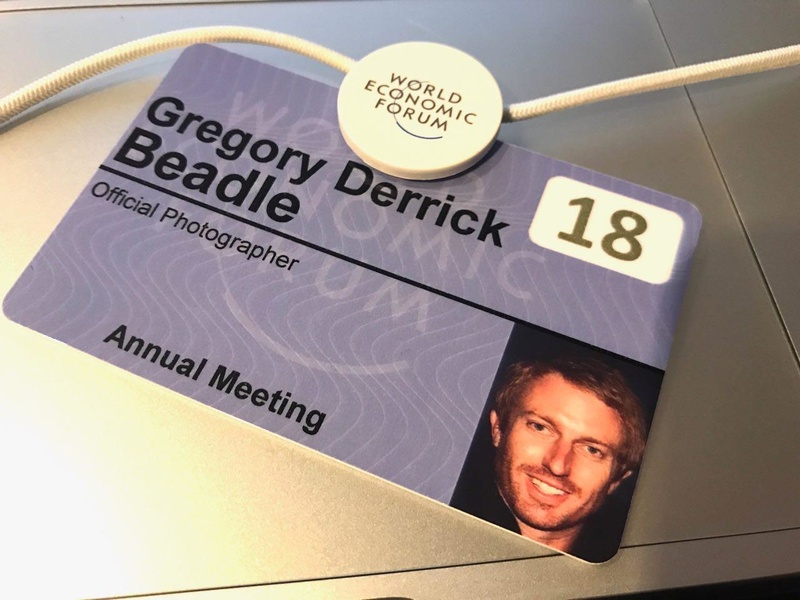 I recently had the chance to speak to Greg Beadle, one of the official photographers for the World Economic Forum Event in Davos. From the start he made it clear that as an official photographer for the World Economic Forum, it is his job to “promote the annual meeting through photographs that best emulate the positive experiences and results here in Davos.” He said the energy is tangible and throughout the week, world leaders, celebrities, and wealthy elite will come together to discuss and try solve the current issues of the world today. 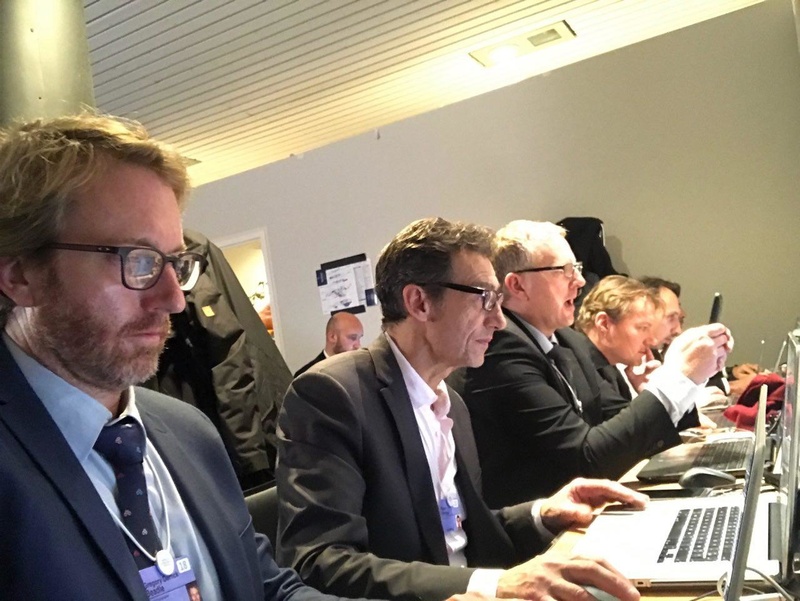 This is what a day as a photographer at Davos is like. During the event there will be 600 sessions that he needs to cover in four days, photographing three to four sessions per hour. According to him it's important to know the layout of the congress center really well as he'll be dashing between meetings through crowds and participants. This, while trying to keep a cool and collected mind when attempting to photograph every contributing speaker and participant. He said it's challenging as a photographer to have a panel of six speakers in one session and eight in another simultaneous session, running in between to make sure you capture at least two angles of each person. 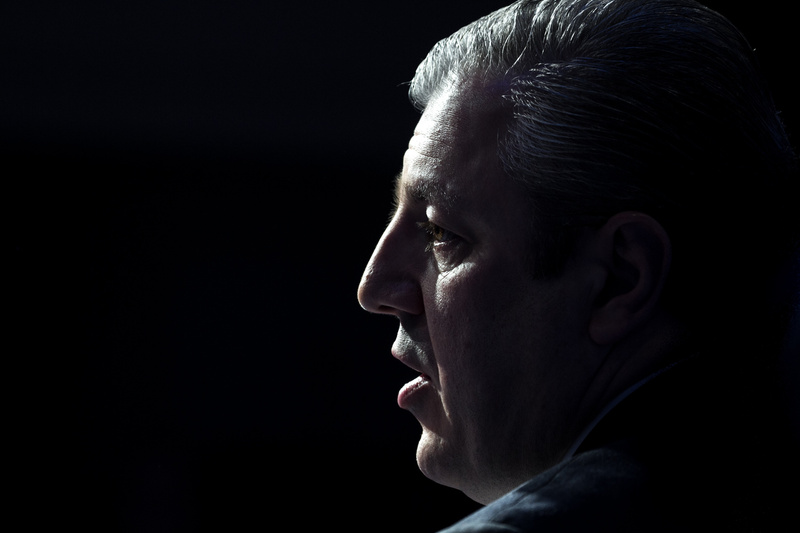 “The venues are all filled with people and there are at least three live feed television cameras that we need to leopard crawl under or maneuver around when not active,” said Beadle. 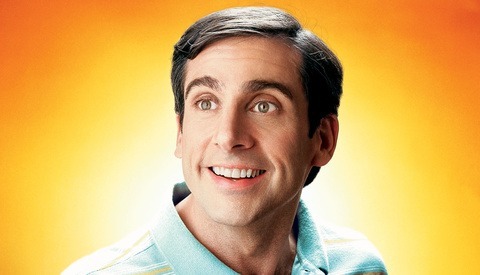 He shoots mostly with natural light. He told me that the lighting in most of the venues are great and this adds to the effect of the images. Some of the more private venues have poorer lighting which adds to the challenge. He starts shooting around 8 a.m. and carries through to after 8 p.m. while editing, tagging, and uploading images when he finds the time throughout the day. He carries two Canon 1D Mark IV bodies fitted with Canon 16-35mm f/2.8 and Canon 100-400mm II lenses. It suits his needs for 95 percent of shooting the event. He uses a Think Tank Shape Shifter bag which he let me know fits this kind of shooting perfectly. In this bag he also carries a Tokina Fisheye and a Canon 24-70mm f/2.8 II. They have a media center set up which he says is very cozy. They need to squeeze in and out of their work stations between shoots when editing, so he prefers editing nearer to the action and closer to where he needs to shoot and saves some time by doing this. 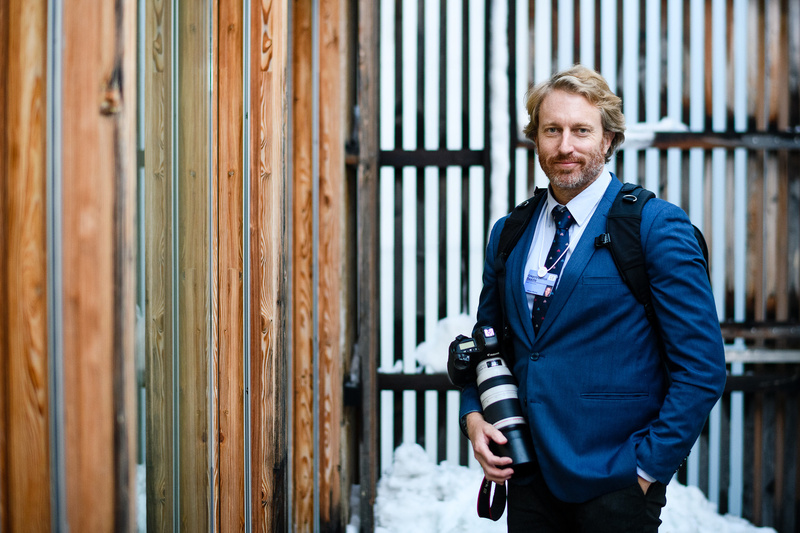 He is a recognized as a official photographer by a blue armband he wears daily. This tag allows him to go wherever he needs to. 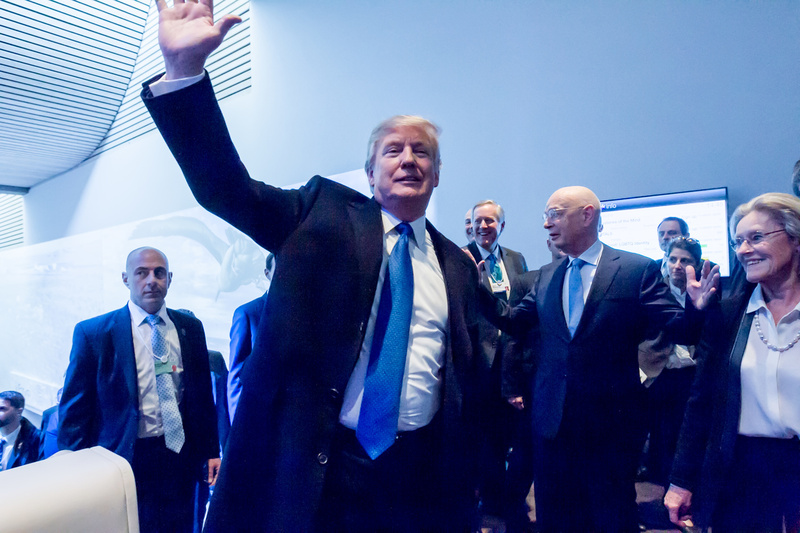 With it he can get real close-up to the world leaders and executives at the event. I asked him whether he likes to shoot portraits at the event too. He says he'd love to, but that time is a very valuable asset for both him and the person being photographed as well as the media. He likes shooting natural images where people are on the move. You can see more of his work on Instagram, Twitter, and Facebook. Images used with permission of Greg Beadle. "He carries two Canon 1D Mark IV bodies " should be "He carries two Canon 1D Mark II bodies"
Interesting to read how it works! 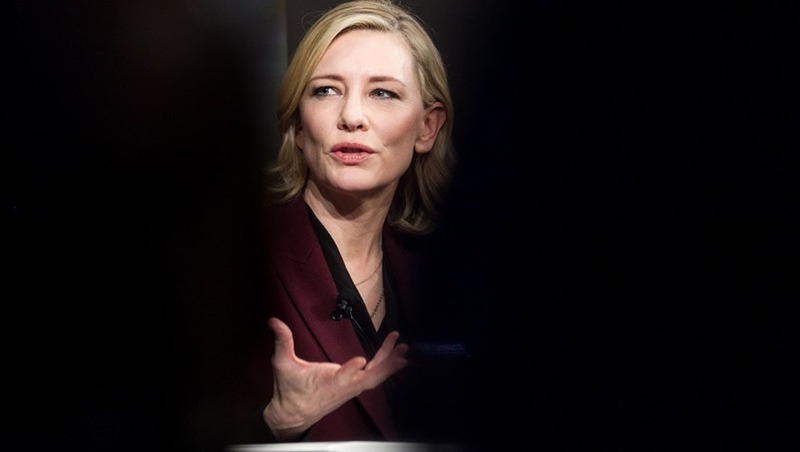 is it just me or does the top photo look remarkably like Cate Blanchett?